Cook bacon in large nonstick skillet over medium-high heat for 3 minutes, stirring frequently. Add beef and onion; cook 3 to 5 minutes or until beef is browned, stirring occasionally. 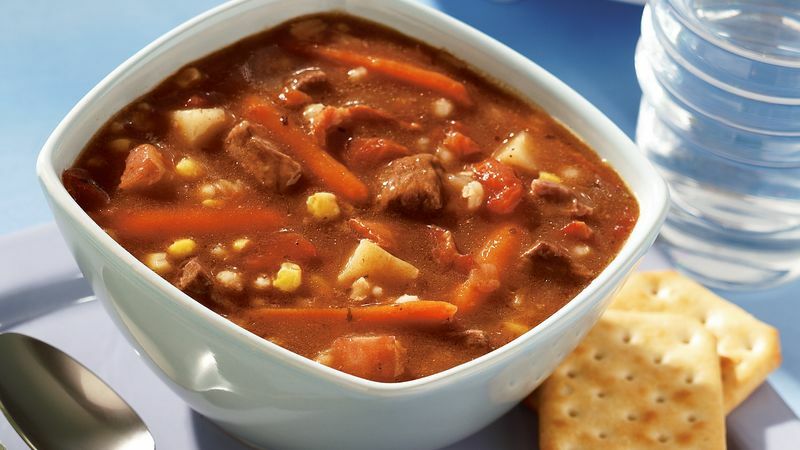 In 3 1/2 to 4-quart slow cooker, layer potatoes, carrots, corn and barley. Top with beef mixture. Pour broth, tomatoes and gravy over top. Do not stir. Cover; cook on low setting for 7 to 8 hours. Stir before serving.